Hands down, one of my very favorite brands is Skip Hop. 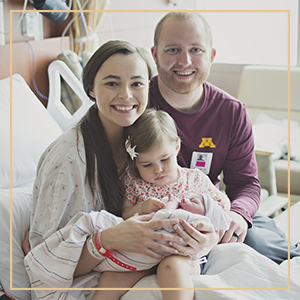 I discovered it after finding the perfect diaper bag, and I was pleasantly surprised with the other products they offered. 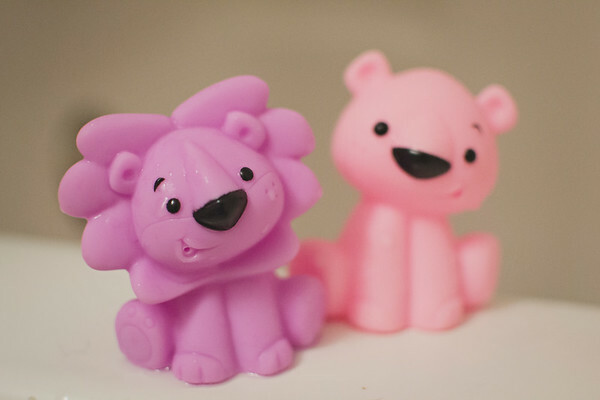 I couldn't restrain myself from buying the little bath accessories they offer! THE. WHALES. ARE. LITERALLY. PERFECT. And then my mother-in-law found more. MORE. I couldn't say no. MORE WHALES PLEASE! 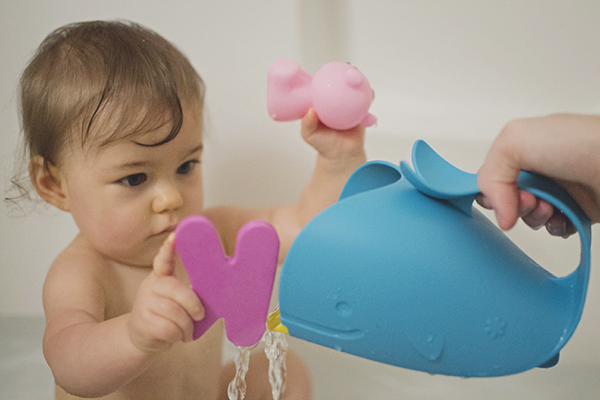 We have the waterfall rinser, spout cover, tub stopper, and a bath toy organizer. Literally all the very best quality, so I know they'll last us years to come. 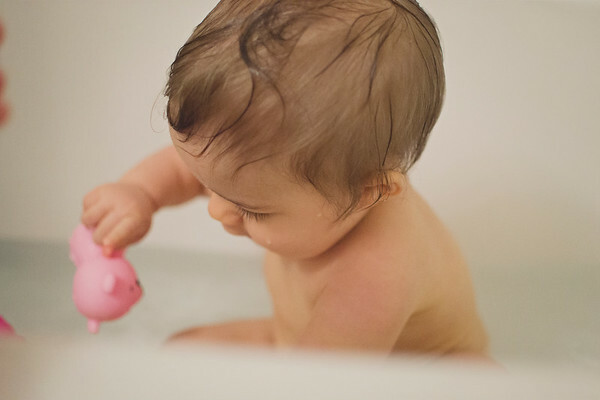 When I was pregnant with Ramsey, I bought the cutest tub of Infantino bath toys- and they were a good purchase because she LOVES them. 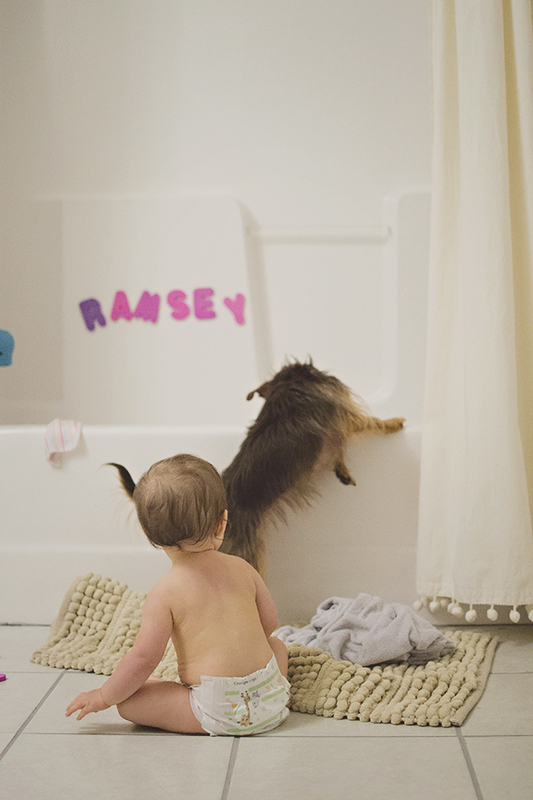 They blow out air/water and Ramsey is hysterical over them. They are just so dang cute, and they are pastel. PASTEL. I die! I registered for bath letters/numbers and we were gifted them in pastel as well. I love that they are offered in 'girly' colors too, rather than just the bright primary colors you typically see everywhere. 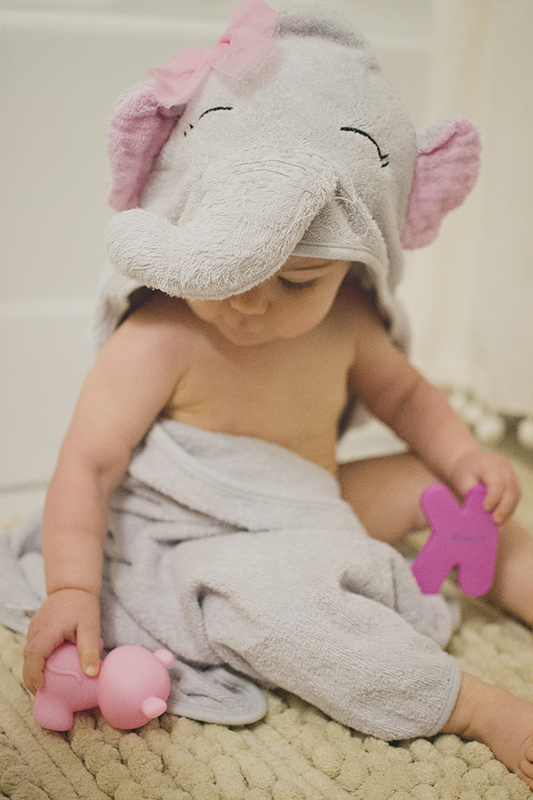 I can't forget her hooded elephant towel. Hooded towels are one of the very best inventions. You can't go wrong with a hooded towel purchase. And they keep baby's head warm after a bath- which trust me, you don't want a cold, wet baby. All it takes is one time and you'll never use anything besides a hooded towel again. I linked another favorite of ours, too. 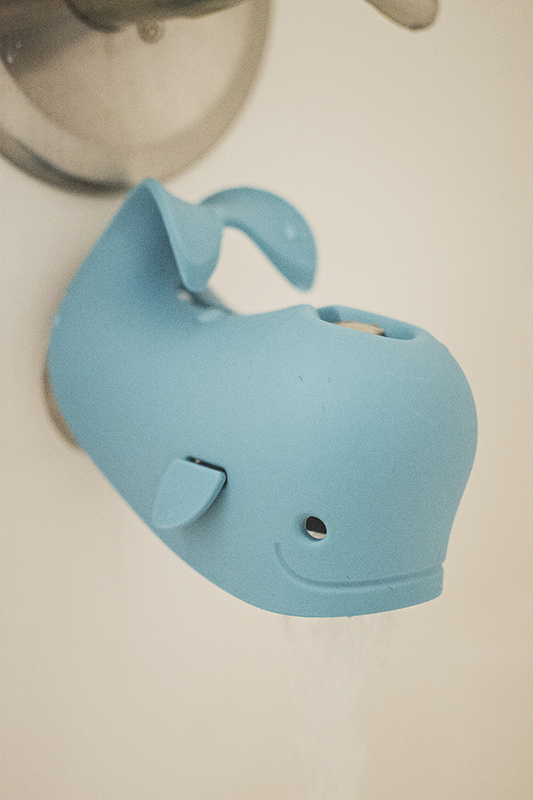 We love the whale spout cover! My little one always tries to stand up underneath the spout and bumped his head. Now I don't have to worry about it! The towel is so cute! We definitely need to get some of those. 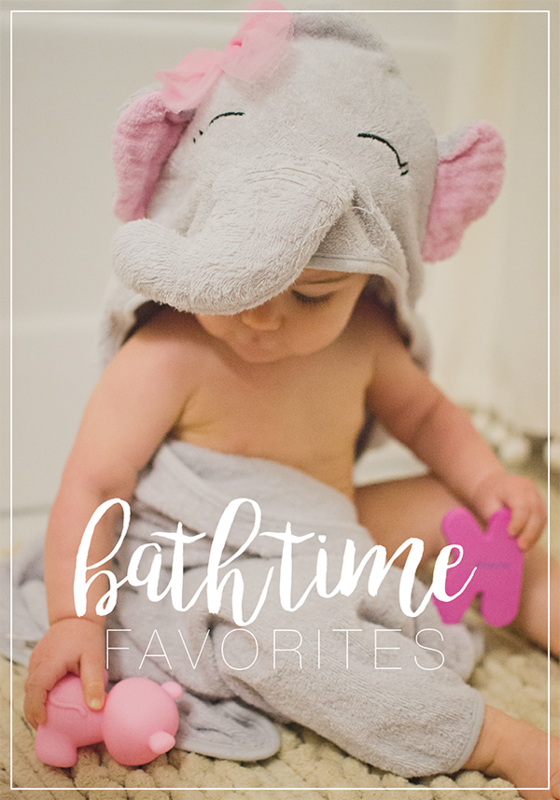 We loved hooded towels when my little guy was younger. I was so sad when he outgrow them and had to start using "grown up" towels. The hooded ones are so cute and nice for drying hair, too! The whale cover is so cute! We started with Johnson and Johnson, but now we are obsessed with Noodle and Boo- smells even better and it is made in America!